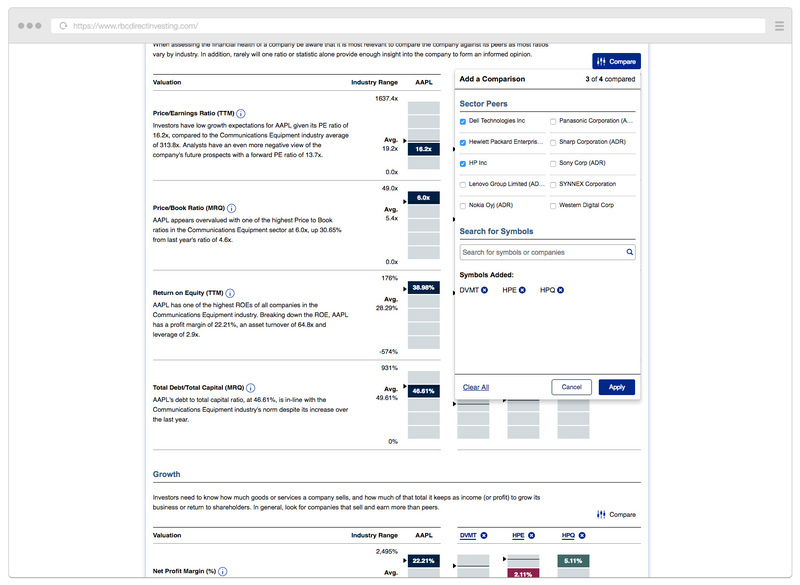 Working closely with Markit Digital, we redesigned how users search and research investment ideas. 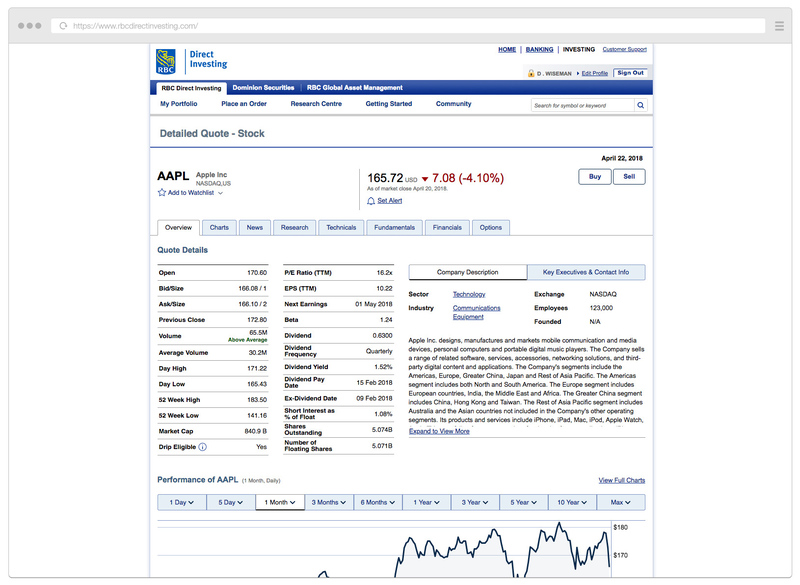 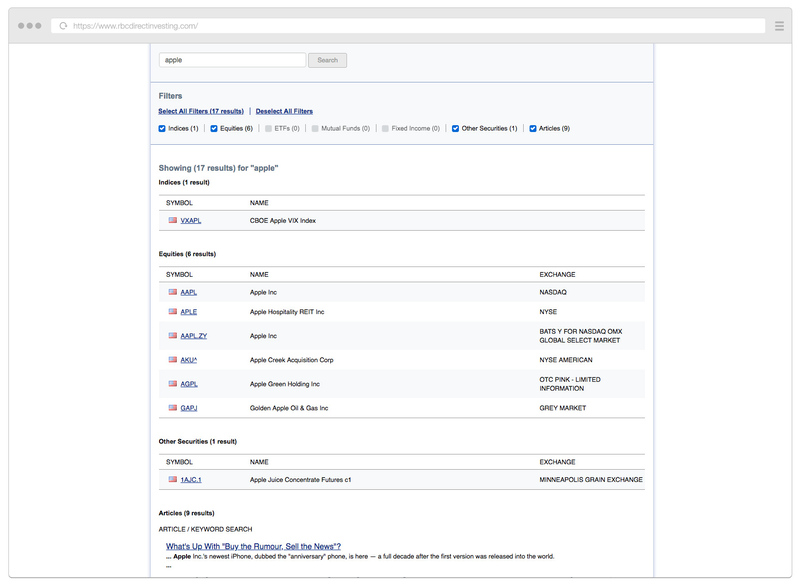 A new search field with typeahead results allows users to search for both securities and reference articles. 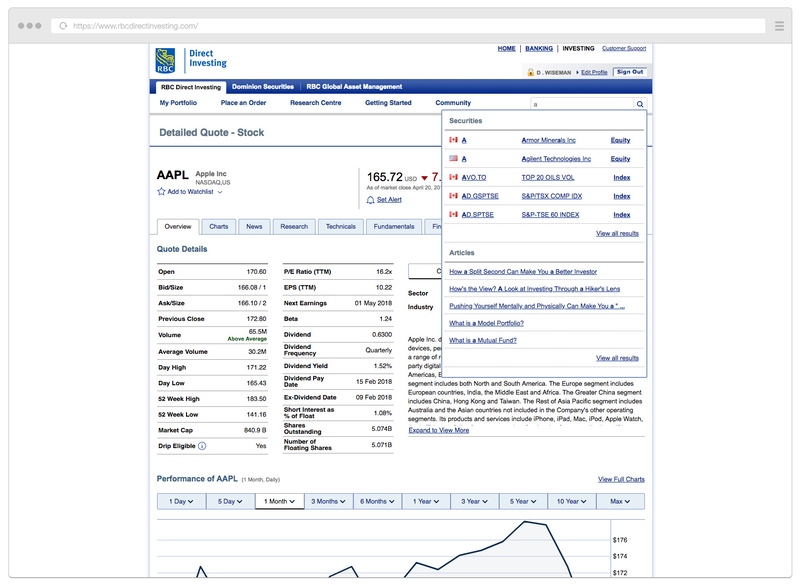 Refreshed quote views provide clearer data display, more robust charting, and enhanced comparison functionality.